A doctor is obliged to provide to the patient a “comparable disclosure of risks between available medical treatments”. The article is relevant to the Cyprus Supreme Court’s decision of Application number 71/2014, dated 10th of July 2015. Hereto, the Supreme Court nullified the trial Court’s findings on the death inquisition of Akis Kleanthous, former Minister of Education and Culture. The case is considered important, since it is the first Cypriot caselaw where it was stated as a judicial finding that the patient had not been informed as to why his chosen medical treatment was better and preferred over an available alternative treatment. The case raises the point towards a significant legal duty which the Court did not have the opportunity to judicially mention. This is the doctor’s obligation to provide to the patient a “comparable disclosure of risks between available medical treatments”, an already established common law principle since 2008, introduced by the English case of Birch v. University College London Hospital NHS Foundation Trust  EWHC 2237 (QB). This principle further expands the doctrine of informed consent for greater patient autonomy, but nevertheless, it remains to be seen when this common law principle would be officially incorporated in Cyprus caselaw too. 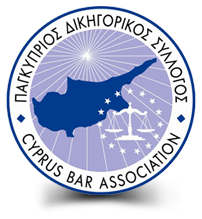 Published in: Law Journal of Cyprus Bar Association (2016) Issue 1, pp. 142-148.